I've traveled to many, many beautiful and stunning cities. But I will freely admit that Bordeaux has become a particular favorite. I love it's silence. It's elegance. It's history. Of course, there's history. Once a major port city, a royal city under Richard the Lionheart and a favorite of Eleanor of Aquitaine. You can still walk through the city gates surviving from Eleanor's time. Like Toulouse or Paris, it's been standing silently watching the course of war, economics, fashion, people. Some even effected it greatly. Bordeaux was the capital of the Vichy Government in WW II. You see the small plaques, hesitant to claim that part of history. It's also the forerunner of Haussman architecture. 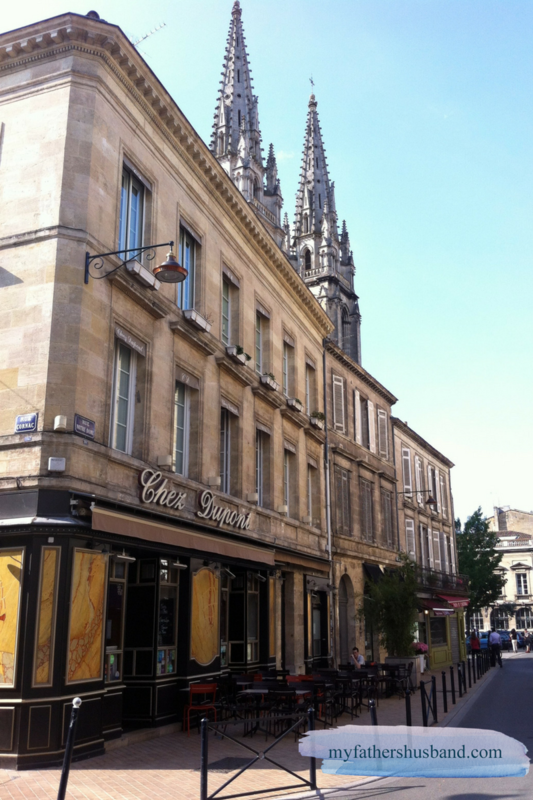 We like to say "Bordeaux looks like a smaller version of Paris!" After all, the buildings, the rooflines, the boulevards, all echo Paris. Now here I am, living in Nérac, enjoying the calm of the small town. But relishing that I am only a drive away from Bordeaux's offerings. What I love what best about it - is that as you meander the little narrow streets, you forget the history. You forget the present. You only savor the charm.